The Other 1% – Homelessness’s moderator, Michael Morrissey interviews Jennifer Friedenbach, Executive Director of San Francisco’s Coalition on Homelessness. David Elliott Lews, Ph.D. speaks of his life, times and the challenges of helping the homeless. An urban farm, created in collaboration with multiple nonprofits and volunteers. The produce grown provides fresh vegetables for homeless and precariously housed. The official start of Downtown Streets Team in Novato. It’s another step toward ending homelessness. A typical weekly San Jose Downtown Streets Team meeting. Architects of Opportunities host Jacqueline Janssen interviews the Executive Director of Downtown Streets Team Eileen Richardson along with San Rafael Project Manager Andrew Henning. Downtown Streets Team is ending homelessness by restoring their dignity and rebuilding the lives of unhoused men and women. Founded in 2005, Downtown Streets Team is now beautifying seven San Francisco Bay Area communities: Palo Alto, San Jose, Sunnyvale, San Rafael, San Francisco, Hayward and Novato, with more on the way. 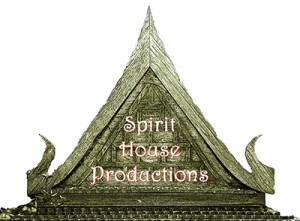 Architects of Opportunities is a weekly TV program produced by Spirit House Productions. The last day of The Jungle, one of the largest homeless encampments in the US.